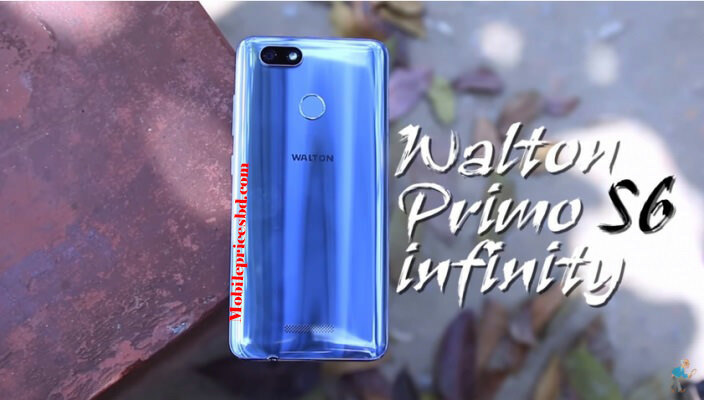 Walton Primo S6 Infinity Price in Bangladesh Market. 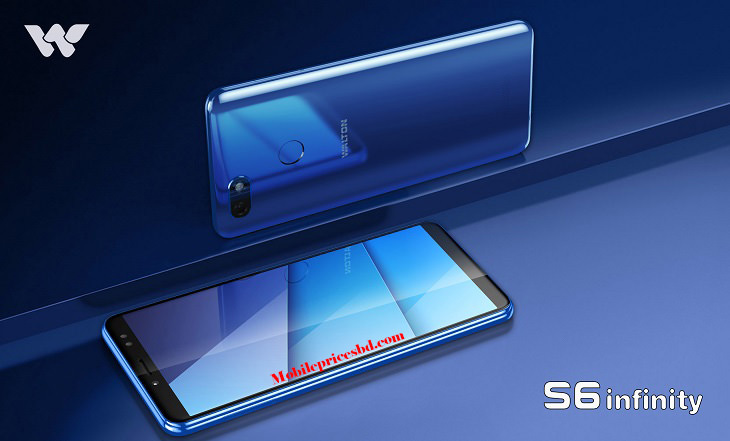 Walton Primo S6 Infinity is the latest 4G enabled Dual SIM smartphone The Bangladeshi local brands Walton has announced a mid-budget smartphone named Primo S6 Infinity. This is the first high-configured android smartphones that Walton has released in 2018. It also is the first Walton phones which run on the Android 8.0 Oreo version. At first looks, the phone looks very stylish with an appealing and shiny streamlined design. The phone comes with a 5.5 inch 18:9 Full view IPS display at HD+(1440x720p) resolution. Especially, the new generations 18:9 aspect ratio will surely provide you best viewing experience. However, a Full HD resolution with a proven Gorilla Glass protector would have been perfect. The S6 Infinity will perform with a Quad Core 64 bit 1.3GHz processor along with 3GB RAM and Mali-T720 GPU. So these will provide a smooth multitasking and perfect HD gaming experience. All information is collected on their website. Walton Primo S6 Infinity smartphone was launched on 09 October 2017. The phone comes with a 5.5-inch 18:9 Full-View IPS Touchscreen, 2.5D curved glass display with a resolution of 1440 pixels by 720 pixels at a PPI of 292 pixels per inch. It measures 148 x 71.5 x 8.1 mm (height x width x thickness) and weigh 146.00 grams. Walton Primo S6 Infinity is a Dual (Micro + Nano) SIM (GSM). Connectivity options include Wi-Fi, GPS, Bluetooth, 3G, and 4G. Sensors on the phone include Fingerprint, Accelerometer (3D), Gravity (3D), Light (Brightness), Hall, Proximity, Magnetic Field, Orientation, G-Sensor, Compass, Proximity sensor and Ambient light sensor. As far as the cameras are concerned, Walton Primo S6 Infinity packs a 13-megapixel primary camera with LED flash on the rear and a 13-megapixel front shooter for selfies. Walton Primo S6 Infinity is powered by Quad-Core 1.3GHz ARM Cortex-A53. Cores Quantity 4. Walton Primo S6 Infinity comes with 3GB of RAM. The phone packs 32GB of internal storage that can be expanded up to 256GB via a microSD card. Walton Primo S6 Infinity is powered by a 3000 mAh Li-Poly (Lithium Polymer) non-removable battery. 08 Megapixels with F/2.0 Aperture, BSI, 4p lens, soft LED flash, f/2.2, auto face detection, face beauty, HD video rec. This Walton Primo S6 Infinity is a flagship Smart Phone from Walton Electronics Company. now Walton Primo S6 Infinity is available in Bangladesh mobile market from 13 February 2018.